Have you always wanted to work in law enforcement, but didn't think it was right for you? Perhaps you didn't think you'd earn enough money. Maybe you were worried about the shift work. Or perhaps you weren't sure where to start or how to get your foot in the door. A great way to get your feet wet in law enforcement is to serve as an auxiliary or reserve officer. For any number of reasons, working full time in law enforcement may not be practical for everyone. Still, there are many more people who are drawn to the profession than are able to work in it. Fortunately, you may not have to choose between careers. Many law enforcement agencies offer part-time and volunteer opportunities to augment their forces, giving you an opportunity to serve in a way and at a time that works better for you. Auxiliary and reserve officer programs are made up of citizens who have received specialized training in order to assist full-time officers. 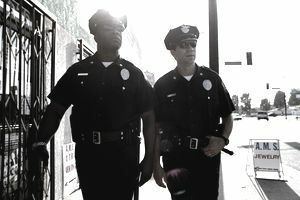 Reserve officers are, often, retired members of the police force who have full police standards, training, and powers. They either volunteer their time or are paid on a part-time basis. They may be tasked with taking calls for service or patrol and are often expected to perform all of the same duties of full-time officers. Auxiliary officers are typically volunteer forces who receive modified police training. They may be allowed to perform some law enforcement tasks independently, such as assisting motorists and investigating crashes. They are also called upon to help enhance security operations and traffic control at events such as football games and other major functions. To work as a reserve officer, generally, you must have attended a police academy and passed the accompanying state certification or POST exam. Some agencies may require that you previously worked full time, while others may hire you as a reservist straight out of the academy. Some departments pay their reserve officers on a part-time basis. Many work full time in other professions and choose to perform reserve work simply because they enjoy it. Others retired from law enforcement or resigned to pursue other opportunities. They work as reservists on the weekends to stay sharp and connected to the profession they loved. Still, others begin their careers as reserve officers, in the hopes that they will be hired as full-time officers in the future. For these individuals, the reserve program can offer a great opportunity to gain contacts and to give employers a chance to see what they are all about. Working as a reserve officer, even in a volunteer capacity, is a great way to ​land a full-time job in law enforcement. Working as an auxiliary officer usually requires a modified law enforcement training curriculum that incorporates full training in firearms, first aid, defensive tactics, and vehicle operations, as well as abbreviated training in other areas determined to be essential to their duties. Auxiliary officers often differ from reserve officers in that they may not have full police power or authority. Instead, they most often operate under the supervision and in the presence of a full-time officer. Auxiliary officers work alongside full-time police officers, often riding with them to provide an extra pair of eyes and to enhance officer safety. Auxiliary and reserve police officer programs offer a great opportunity to get your feet wet in law enforcement without the need to quit your day job. For those who have always wanted to work in law enforcement but, for whatever reason, were unable to make a full-time career out of it, these programs provide a way to fulfill an otherwise unrealized dream. Working as either an auxiliary or reserve officer is a wonderful way to get your foot in the door and land a full-time law enforcement career further on down the road. Whether you're just starting out in your career and are looking for a way to gain contacts and experience or you're just looking for an opportunity to serve on a part-time basis, becoming a reserve or auxiliary police officer may be the perfect opportunity for you.